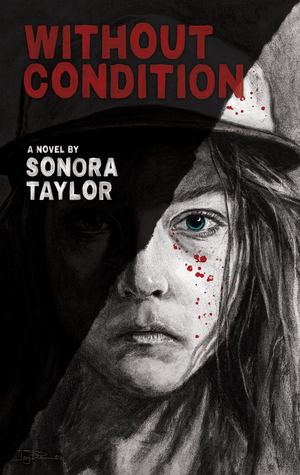 Without Condition is a horror/dark romance novel by Sonora Taylor. I'm continuing my Women in Horror Month reviews with Without Condition by Sonora Taylor. This is a tough review for me only because I was the wrong audience for this one. The character development in Without Condition was great. I read this as a group read with several of the Ladies of Horror Fiction team, and we had some really great discussions after reading about the main character's childhood and experiences with bullying. Without Condition was also well written and a quick read. The only reason this wasn't a huge hit with me was it was less "horror" and more "dark romance". I'm just not a romance reader. If you enjoy dark romance and need a great read for Women in Horror Month, Without Condition might be an excellent choice for you. I am definitely open to reading more of Sonora Taylor's work in the future. Less horror and more dark romance could work for me and this is a fascinating concept! Might have to add this to the wishlist for now. I didn't really see this one having a dark romance element but I still may pick it up. At least you enjoyed buddy reading it. We had a great time reading this one. I think you should give it a try. Interesting. That cover doesnt say "romance" at all. But I find the idea intriguing, so I might check it out some time. This actually sounds like it would be an awesome horror read if it was actually horror. That line about she picks up men and they tend to die definitely sounds creepy! You're welcome. It will be great for those who are, but it's not for everyone. Hot 2019 | Forged Fantasy Hack and Cheats GEMS - Generate 15000 Gems a day.